In 1996 Kevin McClory announced in Variety magazine that he was planning to produce another Thunderball remake to go up against Bond 18 (which eventually became Tomorrow Never Dies). "I'm back in the Bond business because I have a couple of films I want to direct and Bond can provide the finance," McClory said. "I didn't want to make another Bond film, but now that I've come this far, I'm enjoying it immensely. The film will be called Warhead 2000 and an actor has been chosen to play Bond. But we won't announce it yet to keep the competition in the dark. No, it's not Sean Connery. He's too old for the part now. But he has said he would play the villain in a James Bond film if the price was right." With the venerable franchise flourishing again with the success of 1995's GoldenEye, McClory seemed intent on one more attempt to gatecrash the latest James Bond boom. An interesting twist to the saga was supplied by the presence of John Calley as head of Sony. Sony announced they were set to work with McClory on the new film. Calley had been president of MGM's United artists, the studio who helped resurrect the series with GoldenEye. "We are satisfied that McClory has the right to make James Bond," said Calley. "Any claim that (McClory) can create a James Bond franchise is delusional," said the other (official) side. "We hope that Sony has not been duped by Mr McClory's deception. Today, more than ever, we will vigorously pursue all means to protect this valued franchise that United Artists and the Broccoli family have nurtured for more than three decades." "Although they [MGM] are trying to depict us as interlopers, we were in fact innovators," McClory responded in an interview with the Associated Press. "MGM's rights came after our rights. There is no doubt about this: We created our work with Fleming." Calley negotiated a deal with McClory to make the new film under Columbia pictures. "The new James Bond films emphasize our commitment to create motion picture franchises that serve as tentpoles for our release schedule and create business opportunities throughout the Sony family," Calley said in a statement. The Sunday Times ran an article which suggested that Roland Emmerich and Dean Devlin, the team behind Independence Day and Godzilla, were working with Sony on the new film. Devlin later set the record straight and said that while he was a Bond fan, he had no knowledge of any James Bond film being planned at Sony. Nonetheless speculation was rife that 67 year-old Sean Connery would either be asked to play James Bond or the villain. 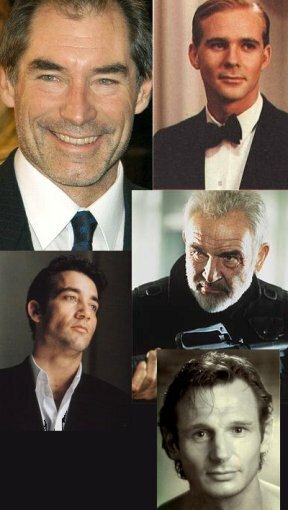 In 1998 The Express announced that 35 year-old Jason (son of Sean) Connery was the man they wanted to play Bond. This twist was quashed by Connery's agent who said that Jason had not been approached or discussed James Bond with anyone. Unsurprisingly this saga soon ended up in a courtroom. Sony announced in its claim that the cinematic Bond character is not only separate from the literary secret agent, but is partly McClory's creation, and therefore co-owned by him. And because of his ownership of the Bond character, Sony said, McClory is owed some portion of the estimated $3 billion the franchise has generated. "As a consequence of his joint authorship, McClory has at all times been at least a co-owner of copyright in and to the McClory scripts and all their elements, including the James Bond character as delineated therein," said Sony. "Consequently, McClory (and now Sony) may freely exploit the McClory scripts." "The defendant's response confirms our strongly held belief that Sony was delusional in asserting that it can launch a new series of James Bond films," countered MGM. "Expanding radically upon Kevin McClory's time-worn assertion of his rights to make James Bond movies based on Thunderball, Sony now makes completely unfounded new claims." The huge gap between McClory's last assertion of his 007 rights didn't help his case. MGM dubbed McClory the "Rip Van Winkle of copyright laws. He has been sleeping on his putative rights for over 20 years." MGM were also aggrieved that John Calley, with his inside information on producing and marketing a James Bond film (GoldenEye), was now working against them. Warhead 2000 seemed to undergo a change of title to Doomday 2000 in articles but, whatever it was called, the project was doomed to failure. Despite the sabre-rattling, Warhead 2000 was eventually abandoned in 1999 after Sony settled out of court with MGM/UA, ceding any rights to making a James Bond film. The production and final say over everything involving the film version of James Bond remained controlled by EON Productions, Albert R. Broccoli's production company and its parent company Danjaq, LLC. The lawsuit was thrown out in 2000 on the ground that McClory had waited too long to bring his claims. The Ninth Circuit Court of Appeals later affirmed this decision in 2001. "Essentially," said Sony attorney David W. Steuber, "we have given up the universal right to make a James Bond picture." Sean Connery - 67 years-old but still spry. Would he have bowed to pressure? Would they seriously have asked a man ten years older than Roger Moore was in A View To A Kill to play James Bond? My guess would be no on both counts. Jason Connery - Not as far-fetched as it sounds. His career never quite took off but the younger Connery had a bit of dash about him and the family name. Timothy Dalton - The former official James Bond was heavily linked to Warhead but his close friendship with the Broccoli family and loyalty to Eon would definitely have made this a non-starter. Clive Owen - Assuming someone at Sony had seen Croupier before they cast the part...then Owen would have been a bold choice. His low-profile and the possibility of becoming the 'official' James Bond in the future would have counted against him. Liam Neeson - A solid if not exciting candidate, Neeson would probably have been the compromise choice. A good actor too. If I was put back in 1997 and was asked to place a bet on the actor to play 007 in Warhead 2000, my money would have been on Neeson.